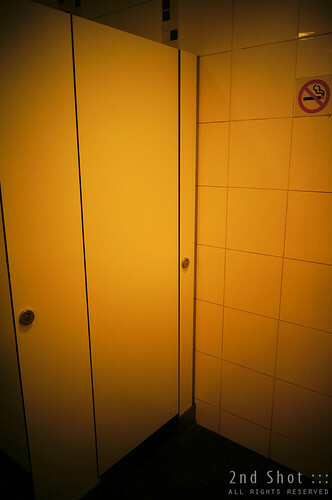 A toilet in Vivocity caught attention for the wrong reason on 22 December 2011. A Cisco police officer was found dead inside one of the cubicles with his service revolver beside him. There was a gunshot wound to his head though the actual gunshot was barely audible to most shoppers and staff in the mall. The cubicle was locked from the inside and a security guard was the first to discover the body. Just where is this toilet in Vivocity? For me, sitting behind the computer, I was intrigued. Danny Tan, who works at Camomilla, a shop directly beside the toilet, said he didn't hear any gunshot fired because of the noisy conditions at the shopping mall around the time. 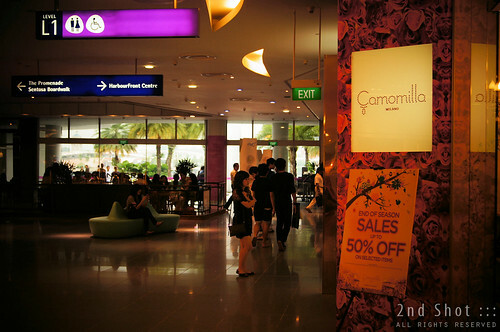 I made a mental note, the next time I'm at Vivocity, to check out this shop Camomilla that would lead me to the toilet that is "directly beside" it. On 20th January 2012, I finally found a good reason to visit Vivocity. Obviously it was not my first time at this mall opened end 2006 but still I did not know where was this shop Camomilla in the mall. Probably a shop for ladies? This might explain why it escaped my radar for 5 years. A check on the directory confirmed Camomilla Milano, a bag shop, at unit no. 01-119 inside the International Fashion zone. Gotcha. I checked this map directory for the location of Camomilla Milano that is directly beside the toilet. I marked out the toilet and Citibank, where the victim was working as auxiliary police, to show how close they are in relation to other toilets. 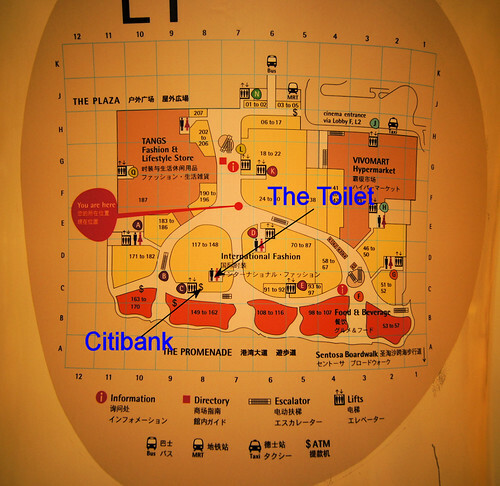 From the map, that is the closest toilet from Citibank. While the case is still under investigation, many people assume it was suicide as no foul play was suspected by the police. Whatever the reason, it was tragic for the victim, a 25 years old Malaysian Indian working in the Citibank branch as a Certis Cisco auxiliary police, and his family who had to settle the arrangements back in Penang. Many brush off suicide as a cowardly way out from life's intractable problems but if you think carefully, it does take great courage. A deliberate attempt to end one's life would have the person planning in advance the steps, recceing the "final destination", even going through the motion at the designated spot, without arousing suspicion. Camomilla Milano and the walkway to the toilet. It was from this walkway at 11.40pm when the crowd had long dissipated that police carried out the body bag and entered the doorway beside the shop (where does it lead to?). You can see a photo here. I entered the toilet and because it wasn't crowded, I managed to indulge in some shutter delights. The interior is nothing to shout about as everything is pretty much standard design for a male toilet. There are, I think, four cubicles and any one of them could be the jackpot, but I do not know which one. You can imagine the day after the incident, all those in-the-know - like Camomilla's Danny Tan - would be assiduously trying to avoid the toilet. Well, I certainly would if I were them. The toilet where the tragedy happened on 22-12-12. Everything looks fine in this photo taken during my visit, or is it? What I blog next may send a chill down your spine. I am typing this now at night and all is quiet around me except the keyboard and the fans spinning in my PC and my room. A particular cubicle at the very end was locked ... and I do not know the reason. I pushed the door gently; it did not budge. I strained my ear for any sound, human breath or the splashing of water; there was none. No cigarette smoke in the air too. At that moment, I was tempted to use my camera, which could act as a periscope due to its swivel LCD, to look at the interior of the cubicle. I dropped the idea as I would have to raise it up above the cubicle. If there was a man inside, I am done for. I could have also placed the camera just above the floor to check for the legs, but the thought did not occur to me. What if I done that but there was none? The mysterious cubicle at the last row that was locked from the inside. I could not determine if there was anyone inside, there was probably none. In that case why was the cubicle locked and how was it done? Can you lock the cubicle from the outside? No, the door did not suddenly open. I took this interior view from another cubicle. If the mysterious cubicle is not a squatting toilet, then it probably look like this. Sometimes things happen at the most unexpected of places. Not to say they can't happen in those places but certainly most shoppers would not expect the gunshot incident to happen in a crowded mall like Vivocity. Most people interviewed expressed surprise and some were spooked, unfortunately a toilet is not a place one can avoid when nature starts calling. The next time you visit this toilet at Vivocity (referring to the men and boys only), pay attention to the last cubicle in the row. I'm not surprised that it is still locked. I herad there is a S$2 shop where evrything is priced <$2. Seems it is a Japanese store. 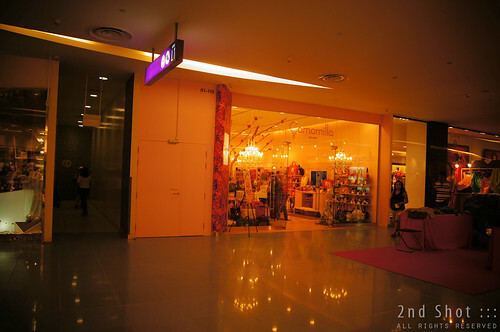 U now the place and name of shop? That would be daiso at the top level. Just take escalator to the top. I also think suicide requires courage though it is not courageous act. I think people who commit suicide generally have no strong religious belief. From post: "A particular cubicle at the very end was locked ... and I do not know the reason." It's possible for a cubicle door to accidentally lock itself. This happens whenever the swing-lever latch becomes loose, & flips down due to gravity. A toilet auntie told me about the above, & that it's possible to open such locked toilets from the outside using a coin/ screwdriver. I suppose she also knows how to lock the door from the outside based on the same method. 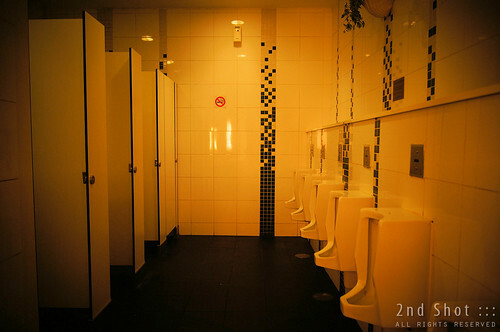 In fact, it's not that uncommon to encounter locked cubicles (with nobody inside) within FEMALE toilets -- probably because the cubicles there are used much more frequently than those in male toilets. Just imagine how the loose the lever can get due to all that daily flipping & door slamming. 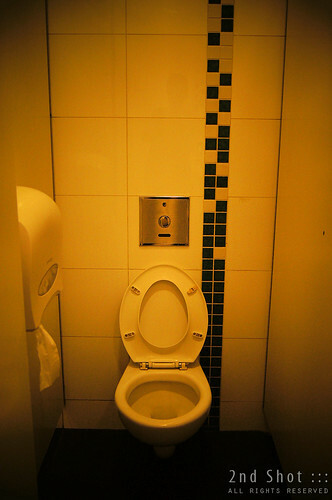 In FEMALE toilets, it's also not that uncommon to come across "permanently"-locked cubicles -- usually the squat-type ones located at either end. It appears that they are locked by cleaners (usually female), & used as equipment storage area. For the VivoCity male toilet, the locked cubicle would seem more suspicious only if it's locked 24/7, & if the cleaner is not male. If not, it's perfectly logical that the CISCO officer would choose the end cubicle for more privacy. Introverts also tend to choose end cubicles to do non-deadly business. Hi Pat, thanks for enlightening us how the door could be locked from outside. It is always so fun to read your posting! It is a bit freaky to think where was the body found and in what circumstances. The report stated the discovery was made by another security guard. Unless we believe the security guard was being kaypoh and tried to unlock the door when it didn't budge, he must be alerted by the gunshot. Just imagine the door wasn't locked when the act happened. It might not be suicide, the gun could have went off as the victim was changing and moving the clothes around. I shudder to think I have actually discovered the accident site ... in the cubicle photo of the toilet bowl.